Community Action Month is just around the corner. 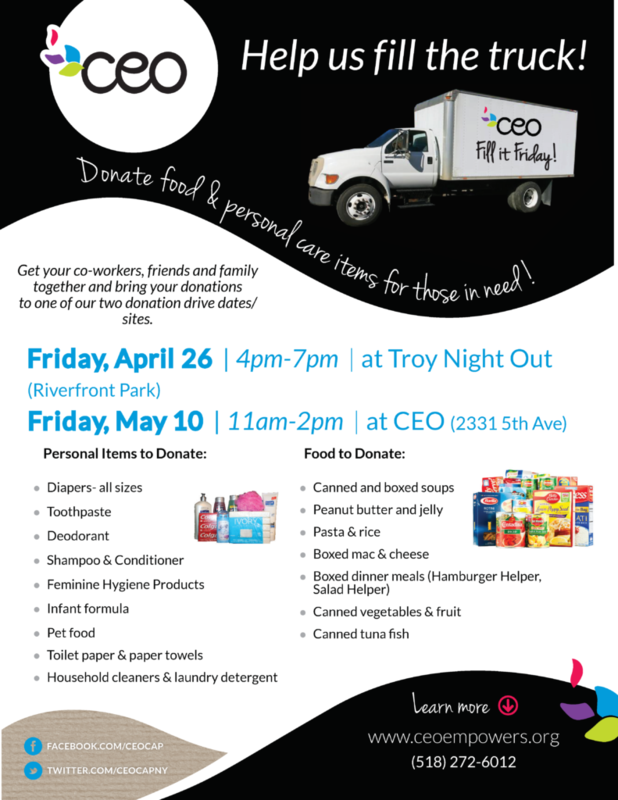 Every year CEO celebrates Community Action Month in May with a variety of volunteer activities designed to make a difference, and inspire change throughout the community. From cleaning up parks to sprucing up neighborhoods and towns, the staff at CEO will spend hours making an impact in communities throughout Rensselaer County. 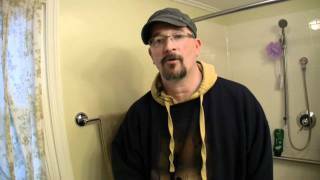 As one of those activities, CEO will be hosting our annual Fill it Friday event again his year. Each May we reach out to the community to help us supply our food pantry with many of the items that are not normally covered by grant funding. These donations of personal hygiene items, household cleaning supplies, and more usually last us into the fall, and are so appreciated by the people we serve. This year we will also be soliciting some non-perishable food donations for some special pop-up food pantry events we have coming up soon. 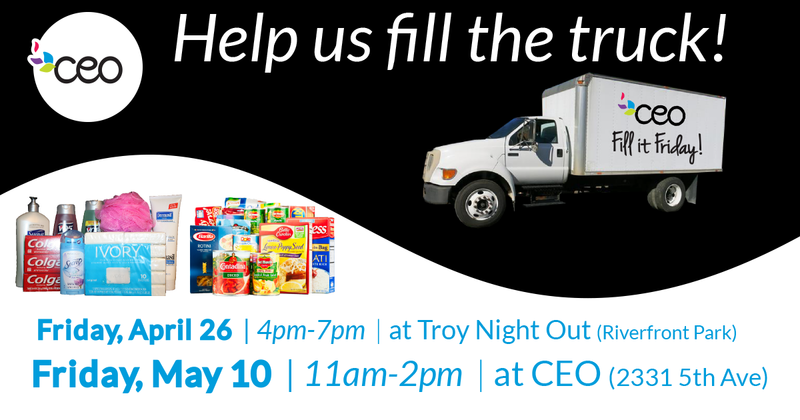 The full list of items needed is on our flyer, and we hope you can join us with a donation either Friday May 10th, or at our Troy Night Out location on Friday April 26th.